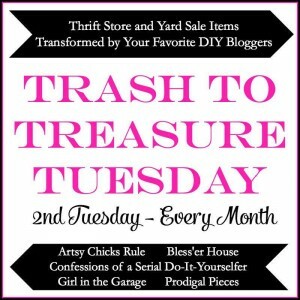 Hello to all of you Trash-to-Treasure lovin Friends out there! 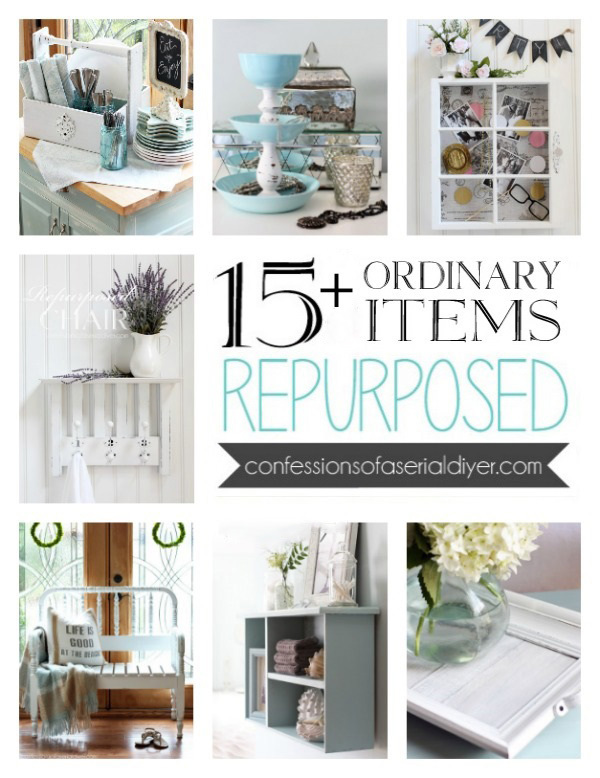 It’s Trash to Treasure Tuesday…my favorite! I have a thrifty makeover for you today and so do four of my favorite treasure maker friends, so look for theirs at the bottom of this post! They really give this pretty piece a cottage feel now. Now the slits look a bit like deep dental molding instead, and that works for me. 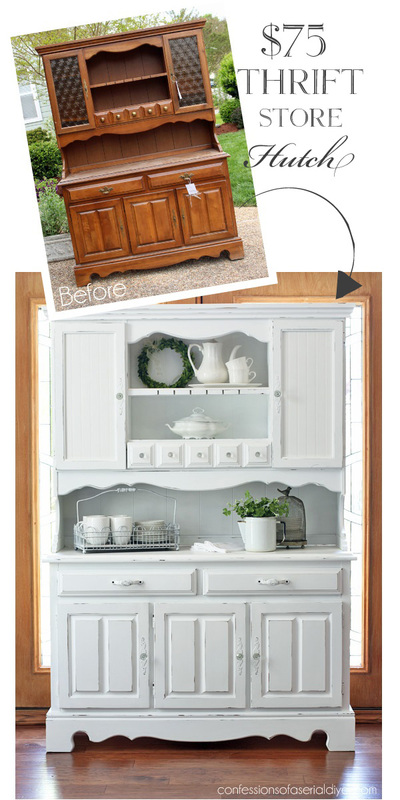 This piece in it’s white makeover has so much charm now. The original paneling on the back even looks great in white. 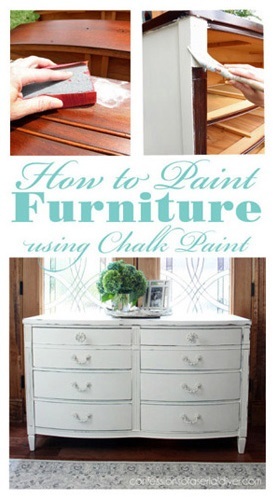 I used Behr’s Ultra Pure White, straight off the shelf, in flat with my DIY chalk paint recipe. 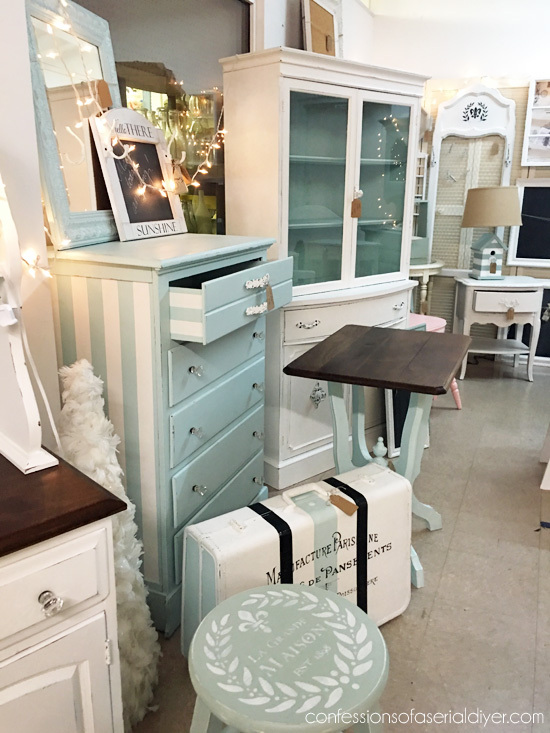 After sanding, everything was waxed with Annie Sloan’s Clear Soft Wax. 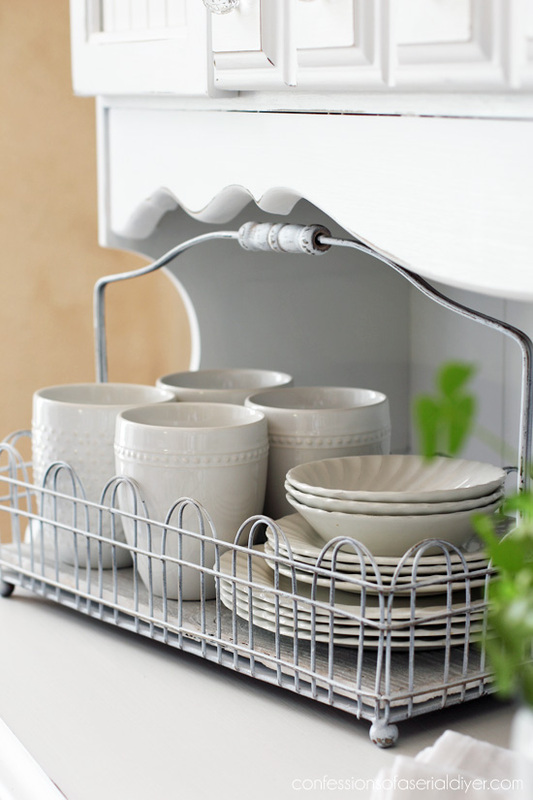 Remember this wire caddy I scored at the thrift store? 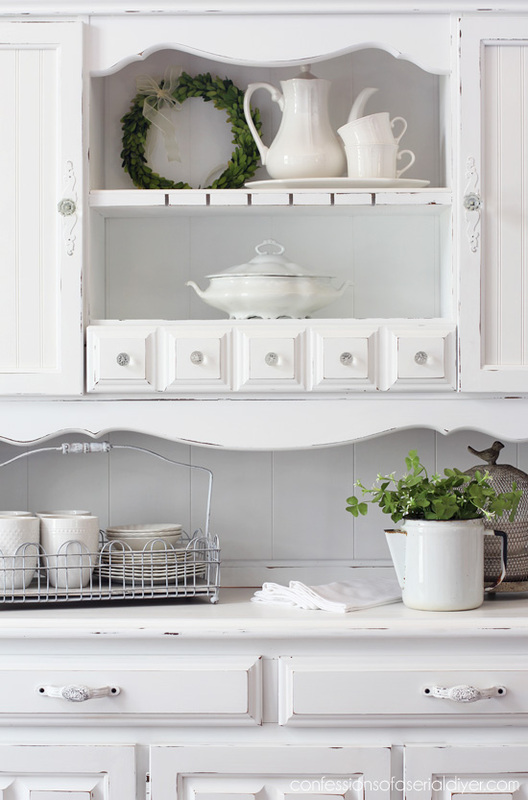 It was a great addition to my Farmhouse Kitchen, and it looks pretty here too! I hope you enjoyed this makeover. 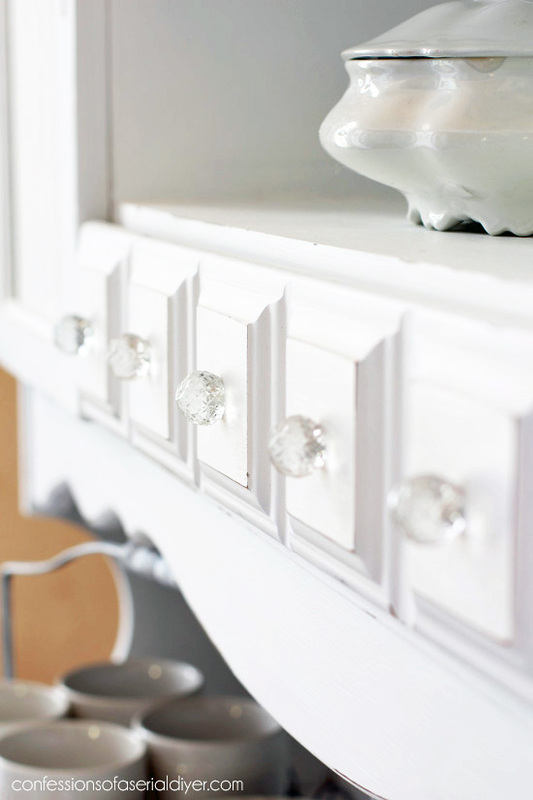 Sometimes those details that made a furniture piece a must-have 50 years ago, don’t do much for it today, but they can often easily be updated! 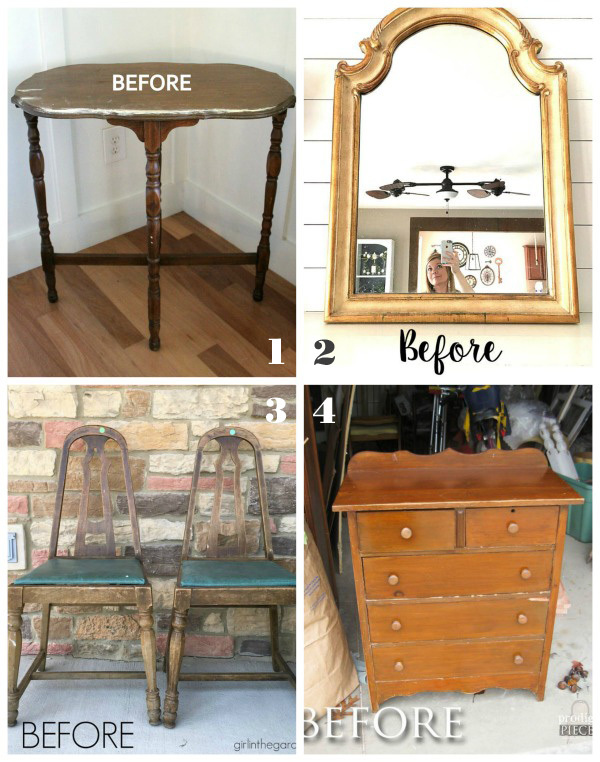 Don’t forget you get five awesome trash-to-treasure makeovers today for the price of one! 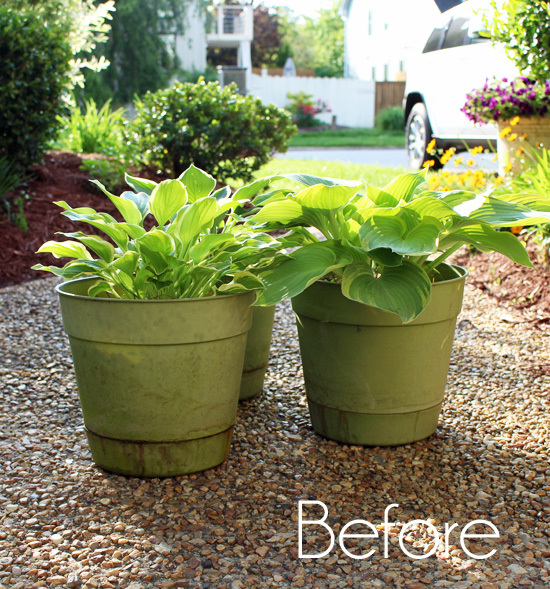 Click the links below the image to see the afters…I can’t wait to see them too! LOVE IT! I have a spot for it in my house in Michigan!! You are AMAZING!! Looking forward to Thursday as my pots look just like yours, Yuck! LOL! Hey Christy! 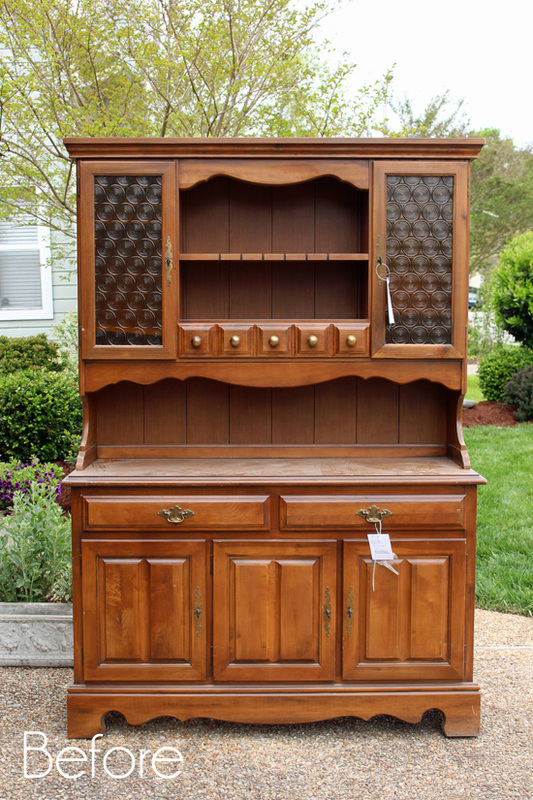 Love the hutch! 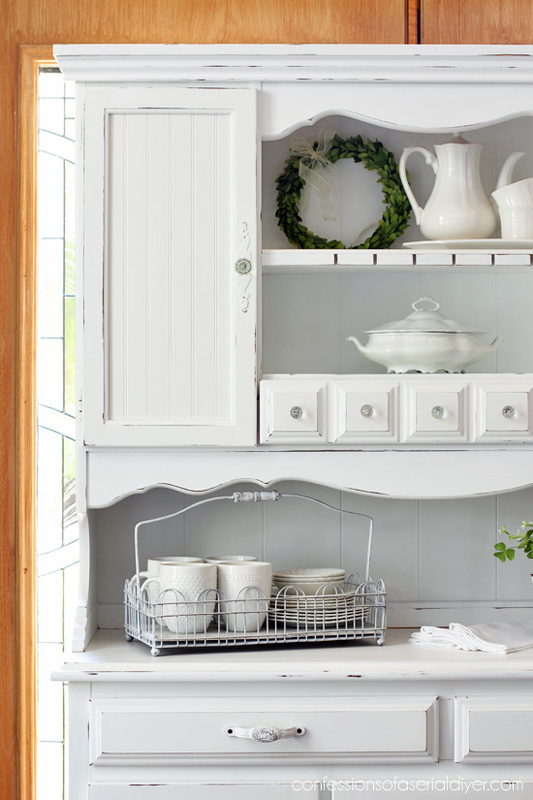 The camoflauge wood panel does the trick to hide the slots and boy your wire basket from your farmhouse design goes well with a lot of designs. 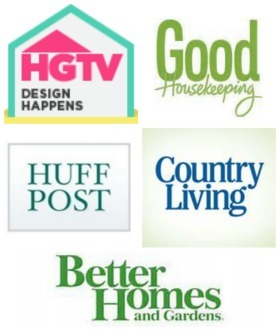 Love your work and thanks for sharing! You have another good redo here. It looks great. 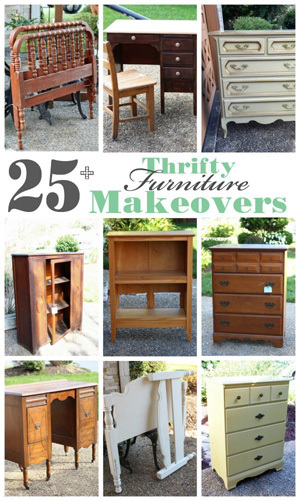 Hi Christy, another great makeover! 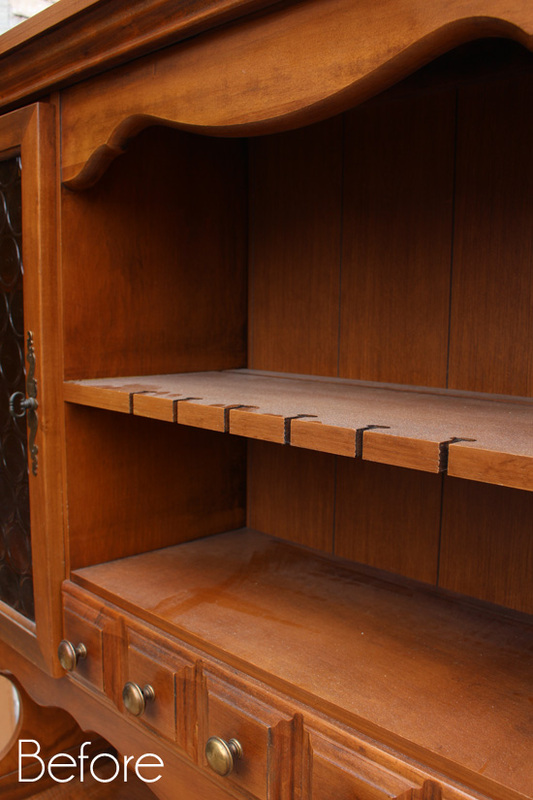 I was wondering if you had a suggestion for what to do with a few of the littlest drawers, like you have in this hutch (the square ones). I salvaged them awhile back from a secretary hutch that I also adored, but have not come up with an idea of what to do with them yet.. Thanks in advance for any idea you may have! Super gorgeous Christy! 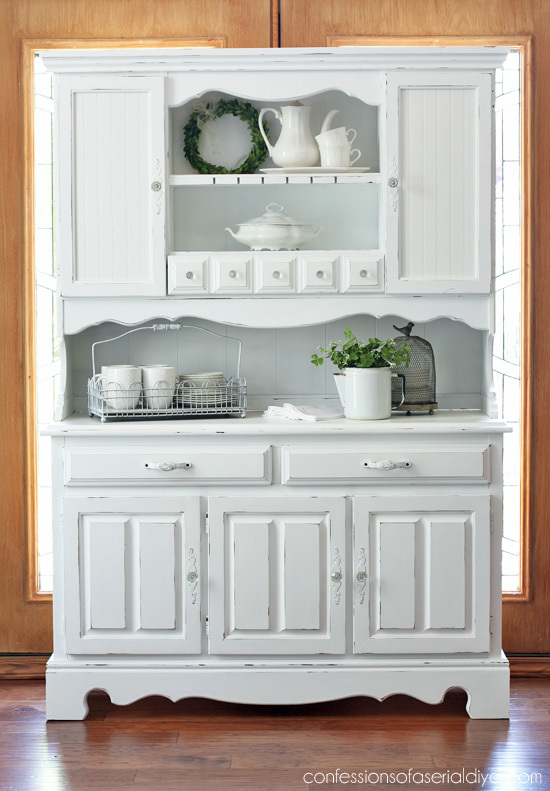 I love this hutch!! I love hutches! They must require a lot of work. I have never worked with a wax finish, do you have a tutorial or any tips? Beautiful piece! Thanks for sharing. Awesome transformation, Christy! Love the new doors and hey, beautiful pictures! Such a wonderful change! 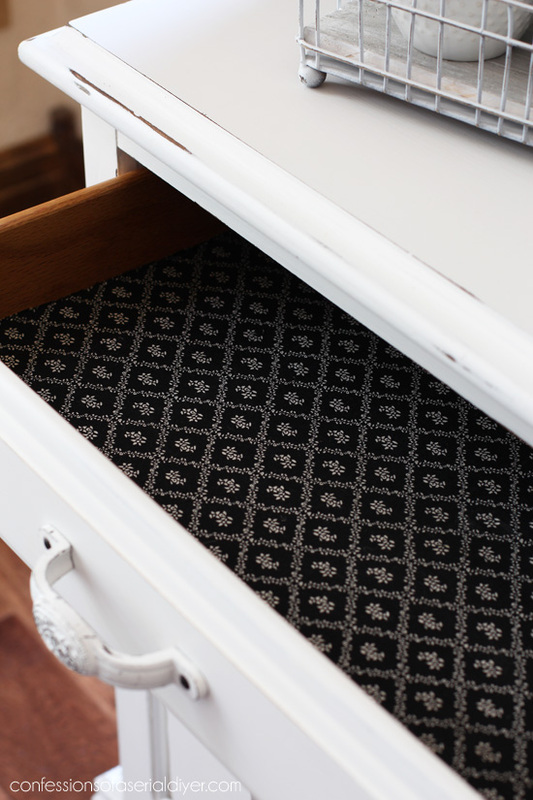 Love the new drawer pulls. You gave it grace and beauty! This looks gorgeous! I don’t know why you got rid of those door panels, though… they were so incredibly stylish. 😉 Seriously, the whole piece just came to life under your touch. 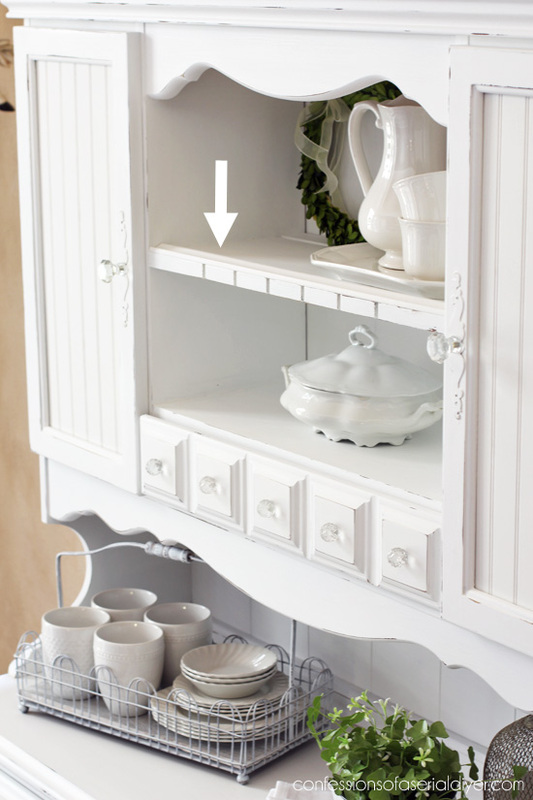 Now see… I thought of chicken wire for the doors and you come along with bead board and knocked it out of the park! That turned out great! 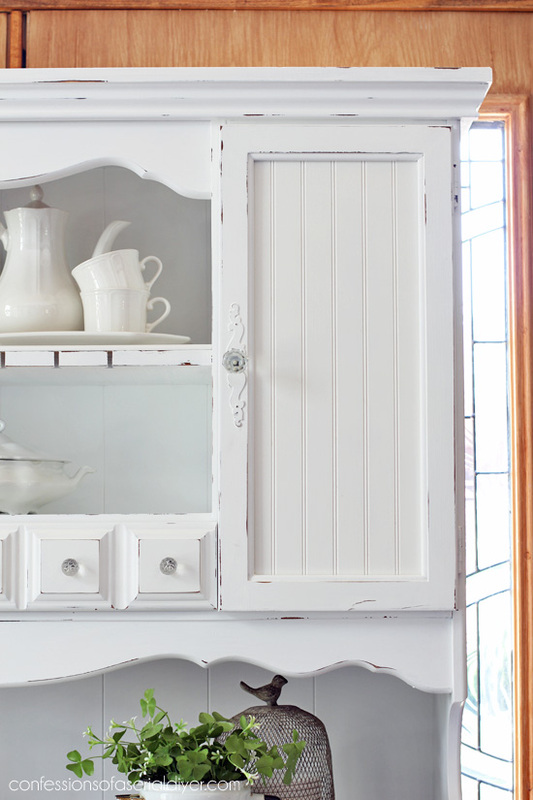 I love the bead board door panels! 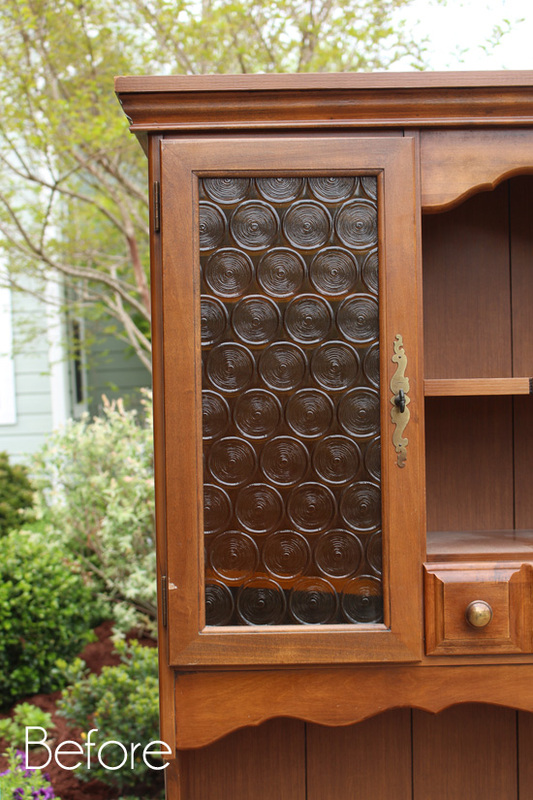 The hutch turned out beautiful. I was driving in a residential area and all of a sudden I saw something that I’m sure if I had stopped and looked it had your name on it. 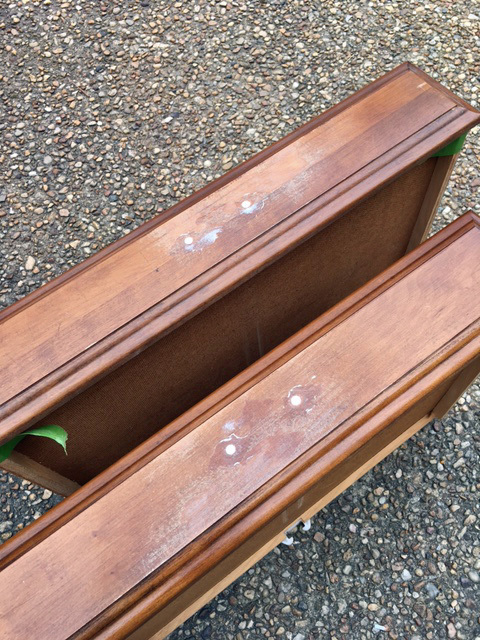 It was a small desk that the top was off, the side that had a drawer in it was separated from the rest and I could tell it really wasn’t wood but something made to look like wood. It was a medium brown with a red cast to it.. I immediately thought of you and your poor little husband, I thought now I know someone that would stop and save that little fella from the dump. You would have thought that little fella of a desk was a prince that just needed a little help. Wouldn’t you have? LOL LOL And sure enough when you got through with him we would all have thought he was the cutest little desk ever. You have us trained. You really are that good!!! Thanks for letting me have fun with you. 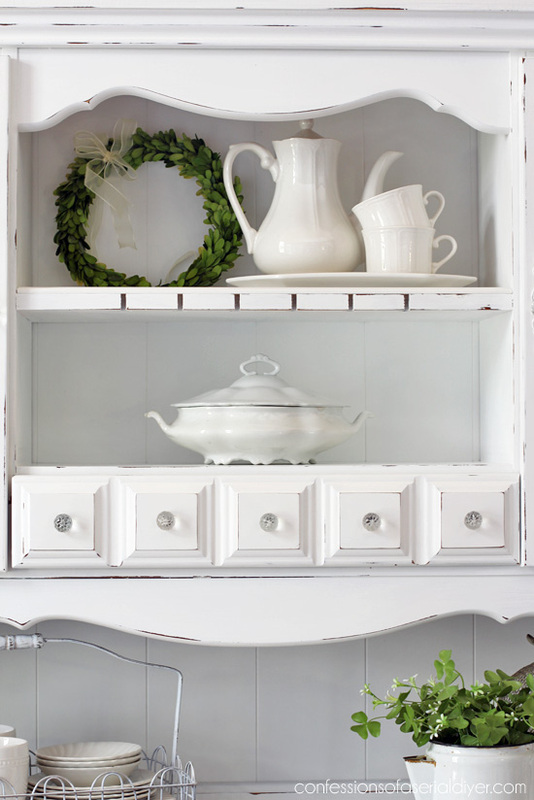 I love EVERYTHING you did to make this tired china cabinet shine. 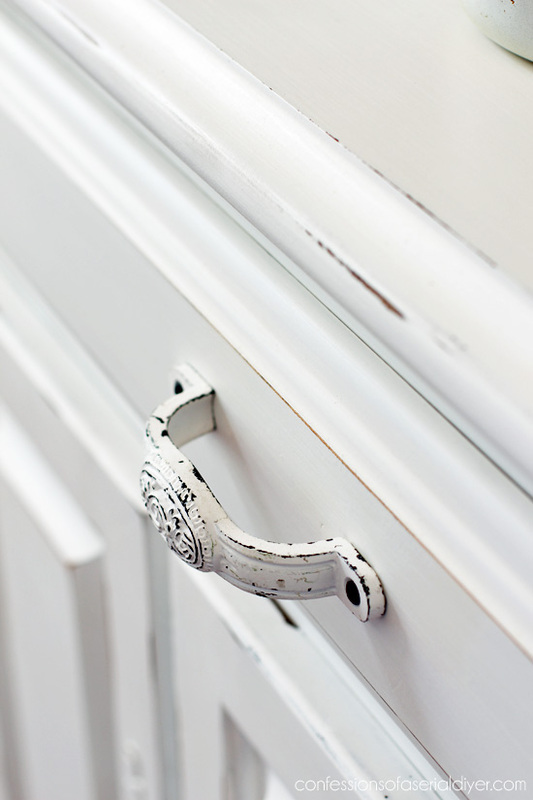 The little drawers (realize they are one big one) add such charm to the piece. 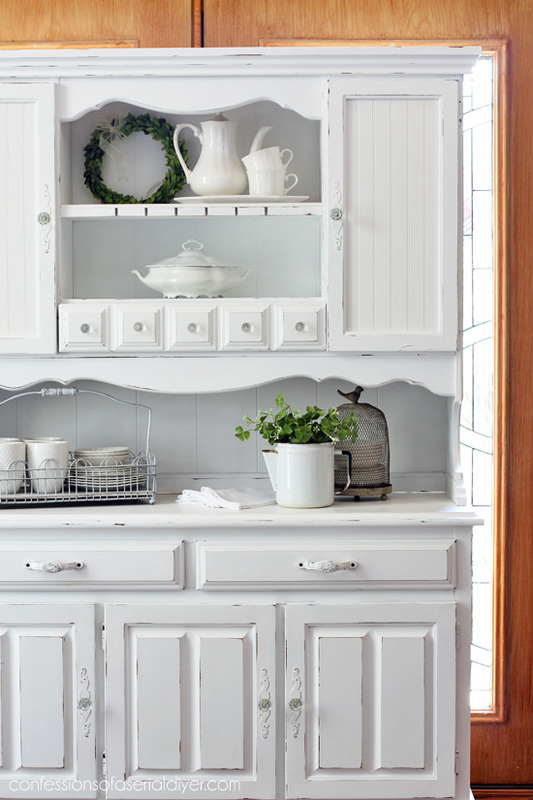 The Beadboard for the doors is just perfect. Love it all. You should be a very proud girl. What a difference, Christy! 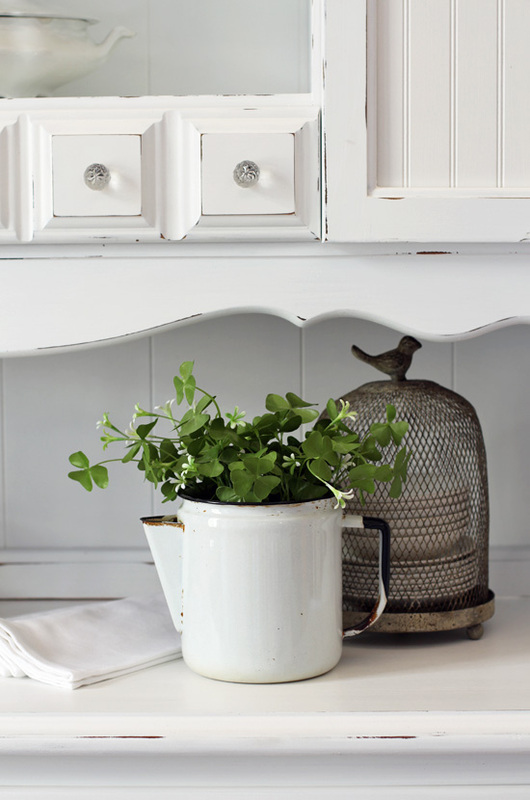 Such a pretty cottage/farmhouse piece now. Love how you staged and photographed it too! Thank you, sweet Friend!! It was a little bit hard to say good bye! This is gorgeous!!! You bring out all the good points on this piece, and turn its bad ones into good ones too. I love it! You made this piece look wonderful! Using beadboard in place of the plexiglass was a great idea. I saw this and freaked thinking you removed bottle glass…. then I realized it was plastic. whew! Bottle glass is definitely worth keeping! Looks GREAT!